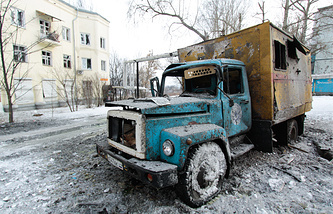 DONETSK, February 8. /TASS/. 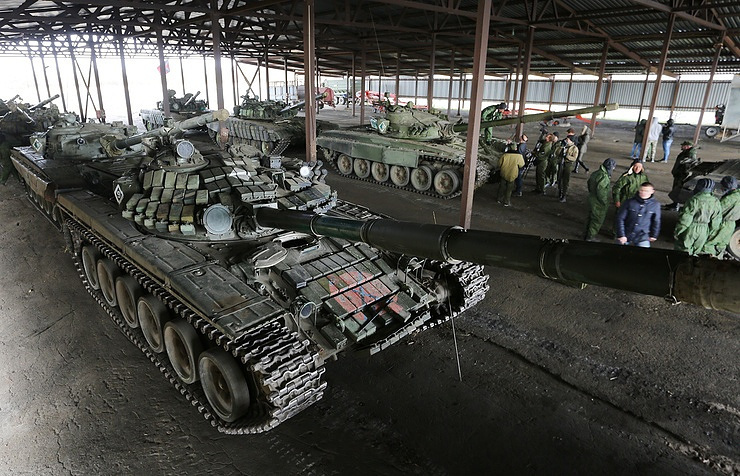 The military leadership of the self-proclaimed Donetsk People’s Republic (DPR) has put forward a step-by-step plan to ease tensions along the line of contact, the Donetsk News Agency reported Wednesday. "We prepared our proposals on full ceasefire and disengagement along the entire line of contact," the agency said. "It was ready by February 4 and had since been undergoing a number of approvals, including with the OSCE." The first point of the plan envisages an immediate and total ceasefire along the entire line of contact. After that, all weapons banned by the Minsk reconciliation agreements should be withdrawn to locations determined by the plan. Under the plan, the sides are to ensure full and unimpeded access to observers of the OSCE Special Monitoring Mission (SMM) in Ukraine. "All proposals were documented and handed over to the Ukrainian command, but it completely ignored the republic’s initiatives. At the same time, first OSCE SMM deputy chief Alexander Hug refused to act as an intermediary in the negotiation process and left the region’s territory," the agency said.